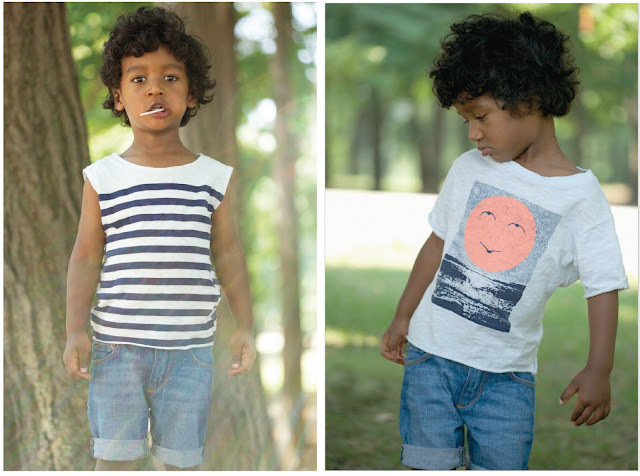 this is pretty much the perfect summer look for little boys: tees and cut-offs. these looks are by the fairly new label esp no.1--known for their stylish denim for kids. i am so ready for summer!